Inter-Familial Literary, after the researched linguistic and literary evidence earlier placed. The historico-linguistic connection between Indo-European and other language families, like Uralic and Semitic, are projected by many scholars as linguistic evidence for the origin of the Indo-European family in or around South Russia. But the evidence we have discussed fails to prove the point. A rather complex and scientific analysis of such connections forms the subject of a paper by Johanna Nichols, significantly called The Epicentre of the Indo-European Linguistic Spread, which is part of a more detailed study contained in two volumes of Archaeology and Language, of which the particular paper under discussion constitutes Chapter 8 of the first volume. The specific location is “in the vicinity of Bactria-Sogdiana”. a. 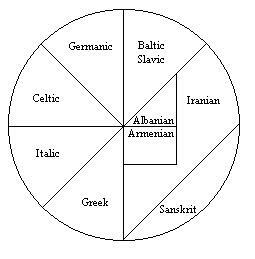 The Pre-PIE language could have come from any direction (east or west), or could have been native to south Central Asia (Bactria-Sogdiana) itself… since the linguistic data only accounts for the later part of the movement, and not the earlier one. b. The later part of the movement, as indicated by linguistic data, is in the opposite direction… that is, away from India. c. The literary evidence, as we have seen, provides the evidence for the earlier part of the movement. The theories which place the original homeland in South Russia postulate a great number of separate emigrations of individual branches in different directions : Hittite and Tocharian would be the earliest emigrants in two different and opposite directions, and Indo-Iranian, Armenian and Greek would be the last emigrants, again, in three different and opposite directions. Let it be repeated : Nichols does not support the Indian homeland theory. That makes her analytical testimony all the more credible when her propositions admit of no better fit than an Indian homeland theory for proto Indo-Europeans. Nichols suggests that there was a point of time during the expansion of the Indo-Europeans when “ancestral Proto-Indo-Aryan was spreading into northern India,” and that “the Indo-Iranian distribution is the result of a later, post-PIE spread”. The evidence shows “westward trajectories of languages” from a locus “in the vicinity of ancient Bactria-Sogdiana,” it does not show eastward or southward trajectories of languages from this locus. Nichols’ conclusion that Indo-European languages found to the west of Bactria Sogdiana were due to expansions from Bactria-Sogdiana is based on linguistic evidence, but her conclusion that the Indo-European languages found to the south and east of Bactria-Sogdiana were also the result of expansions from Bactria-Sogdiana is not based on linguistic evidence premised by her. Also, perhaps, Nichols has no particular reason to believe that India could be the original homeland and, hence, finds no reason to go much further than is absolutely necessary while challenging established notions : as it is, she is conscious that the locus indicated by the linguistic evidence “is unlike any other proposed homeland” and therefore avoids suggesting anything more provocative than that. We now know though that the Indian homeland theory fits in perfectly with Nichols’ conclusions : that the homeland lay along the easternmost of the three trajectories… the one which led “eastward via Iran to western central Asia,” she says. Obviosly, this same trajectory also leads to India; but such an extension would have been going too far, it seems. While Nichols’ detailed linguistic analysis brings into focus the location of the original homeland as indicated by geographical relationship of Indo-European with certain western families of languages, other scholars have also noted the relationship of IE with certain eastern families : we refer in particular to two studies conducted respectively by Tsung-tung Chang, in respect of the Chinese language, and Isidore Dyen, in respect of the Austronesian family of languages. Tsung-tung Chang, a scholar of Chinese / Taiwanese origin, studied the relationship between the vocabulary of Old Chinese, as reconstructed by Bernard Karlgren (Grammata Serica, 1940, etc. ), and the etymological roots of Proto-Indo-European vocabulary, as reconstructed by Julius Pokorny (Indogermanisches Etymologisches Wörterbuch, 1959), and has shown that there was a strong Indo-European influence on the formative vocabulary of Old Chinese. This Indo-European influence on Old Chinese, according to Chang, took place at the time of the founding of the first Chinese empire in about 2400 BC. He calls this the “Chinese Empire established by Indo-European conquerors” and identifies Huang-ti or “Yellow Emperor”, the traditional Chinese founder of the first empire, as an Indo-European, suggesting that his name should actually be interpreted as “blond heavenly god”. What Tsung attempts to do to Chinese civilization is more or less what invasionist scholars have tried to do to Indian civilization, and we can take his insistence that the first Chinese civilization was established by “Indo-European conquerors” with a fistful of salt. The more natural explanation for similarity in vocabulary is simply that there was mutual influence between the Old Chinese and certain Indo-European branches that were located in Central Asia in the third millennium BC or slightly earlier. It is unlikely that this relationship between Germanic and Old Chinese developed in Europe, nor does Tsung himself makes such a claim. He accepts that “Indo-Europeans had coexisted for thousands of years in Central Asia… (before) they emigrated into Europe”. 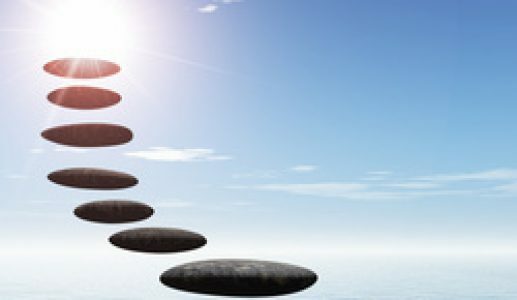 How far Tsung’s hypothesis will find acceptance is not clear. It is, however, a scholarly work by a Western academician (albeit one of Taiwanese origin) established in Germany, and it is being seriously studied in the West. Such as it is, it constitutes further linguistic support for the theory that Central Asia was the secondary homeland for various Indo-European branches on their route from India to Europe. Isidore Dyen, in his paper, The Case of the Austronesian Languages, presented at the 3rd Indo-European Conference at the University of Pennsylvania in 1966, has made out a case showing the similarities between many basic words reconstructed in the Proto-Indo-European and Proto-Austronesian languages. They include such basic words as the very first four numerals, many of the personal pronouns, the words for “water” and “land”, etc. And Dyen points out that “the number of comparisons could be increased at least slightly, perhaps even substantially, without a severe loss of quality”. To restate, Dyen feels that the Indo-European homeland is “probably in Europe” and the Austronesian homeland “no farther west than the longitude of the Malay Peninsula”, and hence he finds that the “linguistic evidence is not… facilitated by a single homeland hypothesis”. But, apart from the Indian homeland theory for the Indo-European family of languages, which Dyen does not consider, there is also an Indian homeland theory for the ultimate origin of the Austronesian family of languages : S.K. Chatterji, an invasionist scholar, suggests that “India was the centre from which the Austric race spread into the lands and islands of the east and Pacific”, and that “the Austric speech… in its original form (as the ultimate source of both the Austro-Asiatic and Austronesian branches)… could very well have been characterised within India”. Therefore the linguistic evidence is “facilitated by a single homeland hypothesis” in the prehistoric past : the Indian homeland hypothesis. Linguistic evidence as it is, in respect of connections between Indo-European and other families in the Proto-Indo-European period, all point towards an Indian homeland for the Indo-European family of languages. With plenty of linguistic evidence indicating that the Indo-European family of languages originated in India, we will examine the linguistic “evidence” which the linguists usually employ to dismiss the Indian homeland theory and in the name of which archaeologists are classified together with “Hindu fundamentalists”. Entire schools of scholars are mesmerised into treating the external (to India) homeland and the Aryan invasion of India as linguistically established facts. a. The study of the so-called non-Aryan substrata in Indo-Aryan languages. b. The study of the reconstructed Proto-Indo-European language, society and culture. Let us examine the first. According to many linguists, the Indo-Aryan languages contain a large number of non-Aryan words, as well as grammatical and syntactical features, which appear to be Dravidian, or occasionally Austric – words and features which are missing in Indo-European languages outside India. The feature, it is construed, shows that the Indo-Aryan languages were intruders into an area (North India) formerly occupied by speakers of Dravidian and Austric languages who, in course of time, adopted the Indo-Aryan speech forms. A special aspect of this argument is that names of Indian animals and plants, in Indo-Aryan languages, are alleged to be adopted from non-Aryan (Dravidian or Austric) population, thereby showing that the original Indo-Aryan speakers were not acquainted with the flora and fauna of India. In respect of the grammatical and syntactical features common to Indo-Aryan and Dravidian, most of these features are also found in different Indo-European branches or languages outside India. That makes such features common and likely consequences of internal developments. The modern Indo-Aryan languages do not necessarily represent a change from an originally Vedic like structure, since these modem Indo-Aryan languages are not, as is popularly believed, descendants of the Vedic language. They are derived of other Indo-European dialects that we understand as Inner-Indo-European, whose grammatical and syntactical features may have been different from that of dialects in north-west and northern-most India, the region which sustained both the Vedic and the parent of non-Vedic Indo-European languages. These inner IE dialects are similar to the other non-Indo-European families within India since pre-Vedic times (Dravidian, Austric). The linguists classify words as non-Aryan not because they are recognizable loan-words from Dravidian or Austric (I.e. words which have a clear etymology that is Dravidian or Austric alone, not Indo-European or Sanskrit), but simply because they are words for which, in their subjective opinion, the Indo-European or Sanskrit etymologies are “not satisfactory”. In most cases, these words or equivalent forms are not even found in the Dravidian or Austric languages. But the scholars divine the “possibility of non-Aryan speeches (other than Dravidian, Kol and later Tibeto-Burman), speeches now extinct, being present in India”, and regard those supposedly extinct dialects as having been the source for these words. It speaks of a predisposition to brand these words as “non-Aryan”, by hook or crook, to fit a favoured notion. Most of the non-Aryan (Dravidian or Austric) etymological derivations postulated by linguists for particular words are challenged or refuted by other linguists, who give clear Indo-European or Sanskrit etymological derivations for the same words. There is no consistency or consensus about these linguistic assertions, beyond the favoured dogma that there must be non-Aryan words in the Indo-Aryan languages. Many of the ‘scholarly’ derivations from Dravidian or Austric are basically impossible, since these words contain phonetic characteristics which are inconsistent with those of the alleged source languages. Thus words original to the Dravidian languages could not start with an initial cerebral or liquid (T, D, r, l), did not contain aspirate sounds (h, kh, gh, ch, jh, Th, Dh, th, dh, ph, bh) and sibilants (s, S), could not start with initial voiced stops (g, j, D, d, b) or have intervocalic voiceless obstruents (k, c, T, t, p), and did not contain obstruents with liquids (kr, pi, pr, tr, etc). And yet, the linguists regularly postulate a Dravidian origin for large numbers of words which contain these phonetic characteristics. In case of names of Indian plants and animals, the majority of them have been given Sanskrit etymologies, not only by ancient Sanskrit grammarians and etymologists but even by modern Western Sanskritists, like Sir Monier-Williams. Linguists who are predisposed to reject these etymologies, without establishing alternates indisputable ones, cannot be taken seriously. Names of plants and animals which appear to have no clear or credible Indo-European or Sanskrit etymologies cannot be automatically treated as non-Aryan words, purely on that ground alone unless they have clear and indisputable Dravidian or Austric etymologies, since the situation is identical in the case of words which are very clearly and definitely inherited Indo-European words. Thus, Carl D. Buck points out : “In the inherited names of animals there is little to be said about their semantic nature for, in most of them, the root-connection is wholly obscure.” Likewise, in the few inherited names of plants common to various Indo-European branches, Buck points to the same condition : “the root connections are mostly obscure”. Specifically, even a universal Indo-European word like *kuon (dog) has a “root connection much disputed and dubious”; and the equally universal word *ekwo (horse) has a “root connection wholly obscure”. Therefore, unless it is to be assumed that the Proto-Indo-Europeans were totally unacquainted with any plants and animals at all, it must be accepted that the names of plants and animals in any language need not necessarily be derivable from the etymological roots of that language : these names are more likely to have been “at first colloquial or even slang words” which subsequently were included in the standard vocabulary. When the names of certain plants or animals in the Indo-Aryan languages are demonstrably Dravidian or Austric, this will be because the plants or animals concerned are native to those parts of India where Dravidian or Austric languages are spoken. Thus the Sanskrit word ela is certainly derived from the Dravidian word yela, since the plant concerned (cardamom) is native to Kerala, located in Dravidian speaking area. The South Indian plant was borrowed, along with its name, by people of North India. In such cases, it need not even be necessary that the plant must not be found in the area of the borrowers. If a plant, which is native to both North and South India, was first cultivated and popularised in the South, then it is possible that the South Indian name would stick to the cultivated plant, even in the North. Thus, the tea plant is native to both China and India (Assam, etc. ), and the cultivated varieties of tea today include both Chinese tea and Assamese tea. But China was the first to cultivate and popularise the beverage, and even today, the plant is known everywhere, including in India (and Assam) by its Chinese names (cA/cAy, tea). To summarise, the Dravidian or Austric name for a plant in Indo-Aryan languages is due to the geographical origin or historical cultivation of the plant in Dravidian or Austric area, and not because the original Indo-Aryan speakers came from outside into an originally Dravidian or Austric India. The names of plants and animals which are native to North India are of Indo-European or Sanskrit origin even in the Dravidian languages of South India and the Austric languages of eastern India. Thus, the words for camel (Sanskrit uSTra), lion (Sanskrit siMha) and rhinoceros (Sanskrit khaDgI or gaNDa) are derived from purely Indo-European roots : the word uSTra, in fact, is found in Iranian (uStra). The Dravidian words for camel (Tamil-Malayalam oTTagam, Kannada-Telugu oNTe, TodaoTTe, Brahui huch, etc. ), for lion (Tamil cingam, Telugu siMhamu, Kannada siMha, etc.) and rhinoceros (Tamil kANDAmirugam, Telugu, khaDga-mRgamu, Kannada khaDgamRga are all derived from their Sanskrit parent. Similarly, with Austric words for camel (Santali Ut, Khasi ut) and lion (Santali sinho, Sora sinam-kidan, etc.). This Sanskrit etymology of words in Dravidian and Austric would clearly not have been possible if the northwestern areas, to which the camel, lion and (at least in Indus Valley period) the rhinoceros were native, had originally been Dravidian or Austric, or of any other non-Aryan language, before the alleged advent of the Indo-Aryans. In addition, it must be noted that the linguists often reject the Sanskrit or Indo-European origins of words in Indo-Aryan languages, and correspondences between Indo-Aryan words and words in other Indo-European branches, on flimsiest of grounds : even a single vowel or consonant in a word is sufficient for them to brand the word as probably or definitely non-Aryan when, according to them, the word is not how it should have been as per the strict and regular rules of Sanskrit or Indo-European derivations. Thus, the connection between Vedic VaruNa, Greek Ouranos and Teutonic Woden is rejected despite the close similarity of the names being backed by correspondence in the mythical nature and characteristics of the three Gods, because scholars deemed the derivations as irregular. Likewise, the connection between Vedic PaNi/VaNi, Greek Pan and Teutonic Vanir will also be rejected on similar flimsy grounds, although the three are definitely cognate names. On the other hand, linguists connecting Indo-Aryan words with Dravidian or Austric words have no compunction about linguistic regularity or accuracy : thus T. Burrow (cf. ‘Some-Dravidian Words in Sanskrit’ in Transactions of the Philological Society-1945, London, 1946) derives Sanskrit paN (to negotiate, bargain) and paNa (wager) from “Tamil puNai, to tie, bond, pledge, security, surety, and to Kannada poNe, bond, bail…” etc. If these are Dravidian words in Sanskrit, it could be as well surmised that the related Greek Pan and Teutonic Vanir are also Dravidian words in these languages. It is not only in respect of Indo-Aryan words that the linguists indulge in such hairsplitting : even in respect of the Greek word theós (God), instead of accepting that the word is an irregular derivation from Indo-European *deiwos, the linguists insist that theós is unrelated to *deiwos, and try to suggest alternate etymologies for it, e.g. “from *thesós (cf. théspharos, ‘spoken by god, ordained’), where the root connection is much disputed and remains dubious. Some linguists go further : “Mr. Hopkins… rejects all the proposed etymologies and suggests that… théos itself is a loan-word from pre-Greek sources.” However, while this kind of hairsplitting is occasional in respect of Greek, it is a regular scholarly pursuit in respect of Indo-Aryan languages. We have seen how Michael Witzel, while admitting to the fact that rivers in North India have Sanskrit names from the earliest recorded Rigvedic period itself, tries to suggest that at least three river names, KubhA, SutudrI and KoSala, are non-Aryan, on grounds of the suggested Sanskrit etymologies being irregular. But this kind of argument is basically untenable : while there can be no doubt that there is such a thing as regular derivations according to definite phonetic rules of etymology and phonetic change, there can be irregular derivations too, since human speech in its historical evolution has not evolved strictly according to rules. Thus, the Latin word canis (dog) is definitely derived from Indo-European *kuon : according to Buck, the “phonetic development is peculiar, but connection not to be questioned”. Likewise, the modern Greek ikkos (horse) is definitely derived from Indo-European *ekwo, although, as Buck points out, “with some unexplained phonetic features”. Hence, it is clear that linguists seeking to reject Indo-European correspondence or Sanskrit etymologies of Indo-Aryan words on grounds of irregular phonetic features are not being strictly honest, and their opinions cannot be entirely trusted. Beyond the brief summary of our main arguments, an examination of writings of various linguists who have written on this subject shows that logic and objectivity played no part in production of their long lists of “non-Aryan” words constituting the “substratum” in Indo-Aryan languages. In such lists, It is observed that any word in Sanskrit or modern Indo-Aryan languages that appears to be similar in sound to a Dravidian word, with even a vaguely similar meaning, automatically represents a Dravidian word adopted by Indo-Aryan, even when it has a clear Sanskrit etymology, and even while the word or a similar word is found in other Indo-European languages outside India as well. An examination or comparative study of the works of these linguists has been undertaken by an American scholar, Edwin F. Bryant, in his paper Linguistic Substrata and the Indigenous Aryan Debate, later presented at the October 1996 Michigan-Laussane International Seminar on Aryan and Non-Aryan in South Asia with the title : Evidence, Interpretation and Ideology. Bryant is currently on the faculty of the Department of History, Harvard University, Cambridge, USA. Bryant finds that “all these linguists are operating on the assumption, based on other criteria, that the Aryans ‘must have’ invaded India where there could not have been a ‘linguistic vacuum’”, and that, beyond this shared predisposition, there is no consensus among them on any specific point. His examination of the works of several linguists shows “that they are not internally consistent, since the opinions of the principal linguists in this area have differed quite considerably. This problematizes the value of this method as a significant determinant in the Indo-Aryan debate…”. But, a hundred years later, M.B. Emeneau (1956) drew up a whole list of such grammatical and syntactical features, and added to them in his later studies (1969, 1974). F.B.J. Kuiper (1967) and Massca (1976) also added to the list. These linguists concluded that these features were definitely evidence of a Dravidian substratum. However, H. Hock (1975, 1984) strongly rejected the idea that these features are due to a Dravidian substratum. He pointed out that most of these features actually have parallels in other Indo-European languages outside India, and therefore they were more likely to be internal developments in Indo-Aryan. Since then, several other linguists, all otherwise staunch believers in the Aryan invasion theory, have rejected the idea that these features are Dravidian features. But P. Thieme (1994) examined and rejected Kuiper’s list in toto, gave Indo-Aryan or Sanskrit etymologies for most of these words, and characterized Kuiper’s exercise as an example of misplaced “zeal for hunting up Dravidian loans in Sanskrit”. In general, Thieme sharply rejects the tendency to force Dravidian or Austric etymologies onto Indo-Aryan words and insists (1992) that “if a word can be explained easily from material extant in Sanskrit itself, there is little chance for such a hypothesis”. Rahul Peter Das (a believer in the Aryan invasion theory), likewise rejects (1994) Kuiper’s list, and emphasises that there is “not a single case in which a communis opinio has been found confirming the foreign origin of a Rgvedic (and probably Vedic in general) word”. Therefore, it is clear that claims regarding Dravidian loan-words in Vedic Sanskrit are totally baseless. Massica’s study found that only 4.5% of the words have Austric etymologies, and 7.6% of the words have Dravidian etymologies, and, even here, “a significant portion of the suggested Dravidian and Austroasiatic etymologies is uncertain”. When we consider that the few words with proven Austric or a Dravidian etymology probably refer to plants and agricultural processes native to South India or Eastern India, Massica’s study clearly contradicts his conclusions. However, although the linguists are compelled to resort to these stratagems, they are not very comfortable with them. Emeneau (1980), for example, admits : “it hardly seems useful to take into account the possibilities of another language, or language family, totally lost to the record, as the source” for the supposedly non-Aryan words. Massica himself, although he brands the words as non-Aryan on the ground that there are no acceptable Sanskrit etymologies, admits that “it is not a requirement that the word be connected with a root, of course : there are many native words in Sanskrit as in all languages that cannot be analysed”. Bloch and Thieme emphasize the point that the names of plants need not be analysable from etymological roots, since most of them will be slang or colloquial words derived from the “low culture” vernaculars of the same language. It is in Classical Sanskrit word-lists that we find many words which can be, or have been, assigned Dravidian or Austric origins. This has led the linguists to emphasise a theory first mooted by Burrow (1968), according to which there was a very small number of Dravidian and Austric words (or none at all) in the Rig Veda, which grew in the later Vedic literature, reached a peak in the Epics, PurANas and the Classical Sanskrit word-lists, and finally dwindled in the Prakrits and even more so in the modern Indo-Aryan languages. This situation, according to Burrow, depicts a scenario where the Aryan immigrants into India were new arrivals at the time of composition of the hymns, and hence hardly any indigenous words had infiltrated into the vocabulary of the Rig Veda. As the process of bilingualism developed (involving both the local inhabitants of the North preserving some of their original non-Aryan vocabulary as they adopted the Aryan speech-forms, as well as post-first-generation Aryans inheriting non-Aryan words as they merged with the local people), the number of such words increased in the language of the Epics and PurANas, and the Classical Sanskrit word-lists. Finally, when there were no more bilingual speakers left in the North, since everyone had adopted the Aryan speech-forms, the appearance of non-Aryan words in the Indo-Aryan languages ceased; hence, the modem Indoaryan languages have few such words. However, Caldwell (1856), who was the first to produce lists of words “probably” borrowed by Sanskrit from Dravidian, rejected this substratum theory. He noted that the words did not include the essential aspects of vocabulary (such as actions, pronouns, body parts, etc. ), and consisted almost exclusively of words “remote from ordinary use”, and hence concluded that the Dravidian languages could not possibly have been spoken in North India at the time of the alleged Aryan invasion. Bloch (1929), who rejected the substratum theory completely, pointed out that the Dravidian languages of the South, even at the level of common speech, contain a massive amount of borrowed Sanskrit vocabulary covering every aspect of life. But this is not explained as an Aryan substratum in South India. The natural explanation for these borrowings is that a relatively small number of Sanskrit-speaking individuals were responsible for them. Likewise, the Dravidian words in Sanskrit were reverse borrowings, being introductions of Dravidian words into literary Sanskrit by similar Sanskrit-speaking individuals from the South. Such words were only part of the Classical Sanskrit lexicon, and few of them percolated to Indo-Aryan vernaculars. Thus, even popular Sanskrit words like nIra (water, Tamil nIr), mIna(fish, Tamil mIn), heramba (buffalo, Tamil erumai), etc. are not used in the modem Indo-Aryan languages, which use instead derivatives of the Sanskrit words pAnIyam, matsya and mahiSa respectively. Such words, as Bloch points out, were artificial and temporary introductions into literary Sanskrit, most of which either died out completely, or remained purely literary words that did not become a part of naturally spoken Indoaryan speech (although it is likely that some of them became so popular that they replaced or accompanied original Sanskrit words and percolated down into modern Indo-Aryan). Massica, in his later study (1991) already referred to, also notes that Dravidian words in Sanskrit are not found in present-day Indo-Aryan languages like Hindi. Clearly, these words do not represent a Dravidian substratum in Sanskrit but a process of artificial adoption of vocabulary from regional speech-forms, both Aryan and non-Aryan. 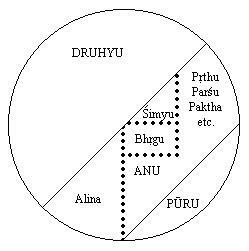 Many linguists question the idea that there could be a Dravidian or Austric substratum in Indo-Ayan languages of North India, even on grounds of likely geographical distribution of these two families in ancient times. In respect of the Austric languages, even a staunch supporter of the non-Aryan substratum theory like Burrow (1968) admits that the possibility of an Austric substratum is remote since “the evidence as it is so far established would suggest that these languages in ancient times as well as now were situated only in eastern India”. Massica (1979) and Southworth (1979) also reiterate this point. R.P. Das (1994) points out that there is “not a single bit of uncontroversial evidence on the actual spread of Dravidian and Austro-Asiatic in prehistoric times, so that any statement on Dravidian and Austric in Rgvedic times is nothing but speculation”. While Thieme is, of course, an opponent of the substratum theory, even so staunch a supporter of the substratum theory as Emeneau (1980) admits that it is “always possible, eg. to counter a suggestion of borrowing from one of the indigenous language families by suggesting that there has been borrowing in the other direction”. 7. Ultimately, therefore, the whole question of a Dravidian, or non-Aryan, substratum in the Indoaryan languages is a matter of dogma rather than scientific study. Bloch (1929), likewise, had earlier dismissed the Dravidian derivations which many linguists sought to force on Sanskrit words, as being not “self-evident” but “a matter of probability and to a certain extent of faith”. The “faith” in all these cases is the faith in the external (to India) origin of the Indoaryans (and Indo-Europeans), which Emeneau (1980) describes as “our linguistic doctrine which has been held now for more than a century and a half”.